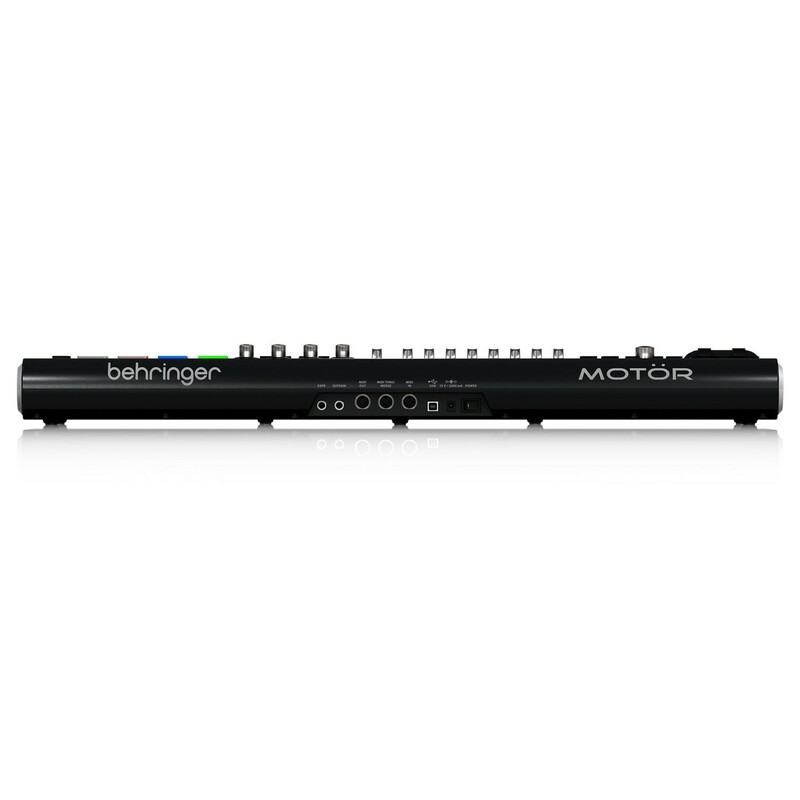 The Behringer Motor 49 USB/MIDI Master Controller Keyboard features 49 semi-weighted full-sized keys and allows full control over your chosen DAW and virtual instruments. The Motor 49 delivers excellent levels of control including faders, touch sensitive pads and an integrated hardware arpeggiator. These three features combine to offer the possibility for complex musical arrangements and expressive playing freedom. Each component of the Motor 49 controller keyboard has been designed to allow players to truly showcase their finest creative abilities. 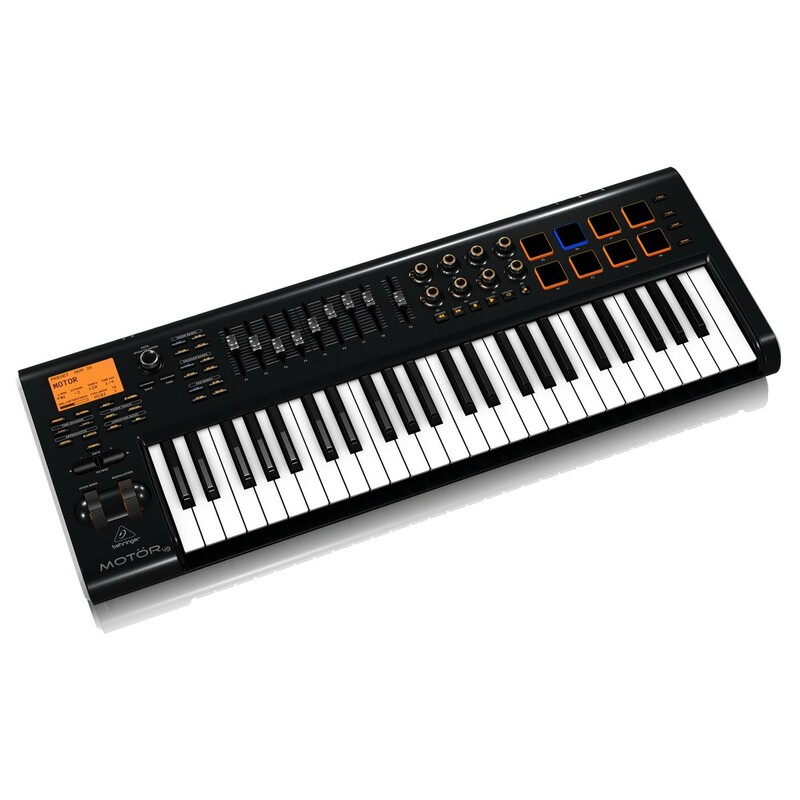 The Motor 49 controller keyboard features 49 expressive, full-sized keys with velocity and aftertouch that deliver a truly unrivaled feel. 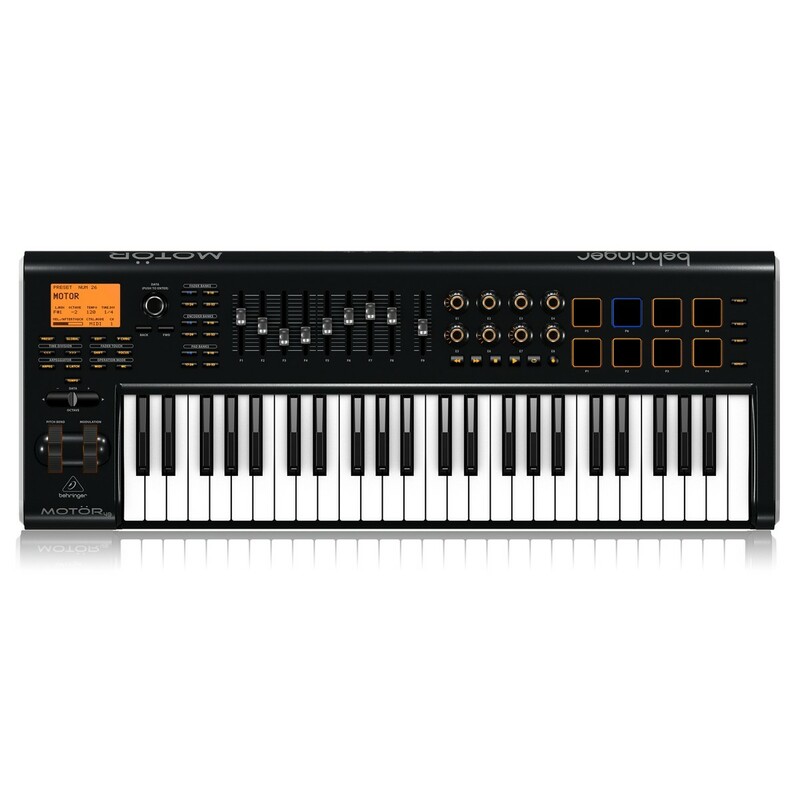 The aftertouch will articulate your sound and playing style with pitch, volume, modulation and even colour control. Keyboard players can use the integrated faders for ultimate control over the DAW mixer, soft synths or effect units. 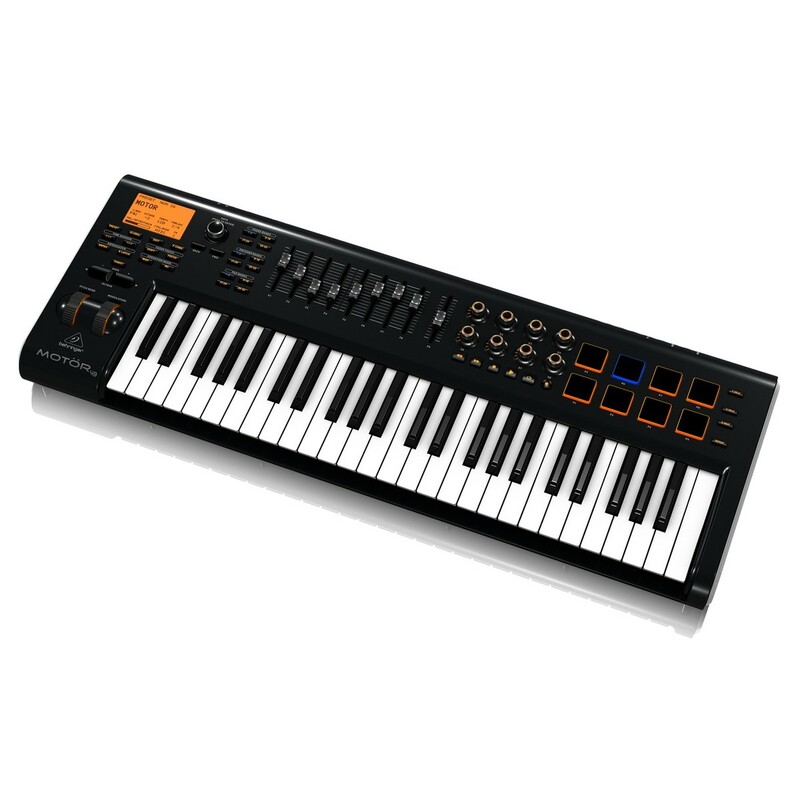 There are dedicated back-lit drum pads that allow users to sequence their beats or emit samples so you can focus on the more intricate notes and sounds with the keyboard. The dynamic drum pads on the Motor 49 gives you total control over soft synth drum sounds for an excellent sample-loop performance.